Fulfill Court Requirements. Dismiss Your Ticket. Guaranteed to Pass with Free Unlimited Attempts. Use Promo code UTS2 get extra $2 OFF! 4-Hour Course. Costs $19.95. Lowest Price in Tennessee Guaranteed. We know traffic tickets are expensive. We promise you an easy, cheap and fast online Driver Education Course. We also send your completion to you on the same day. We are a national company that is licensed in several states including the Great State of Tennessee . 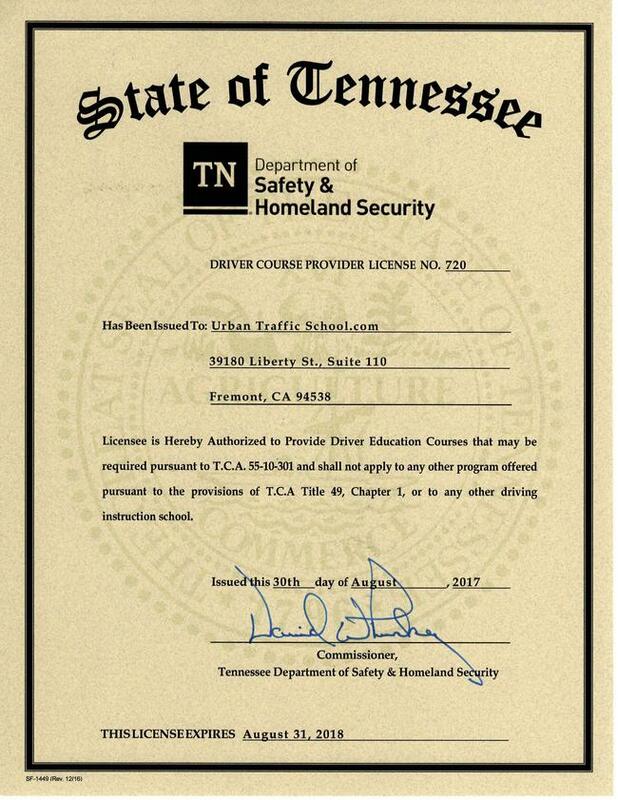 Our course is licensed by Tennessee Department of Safety & Homeland Security.